January seems to be the month for lists, but life keeps happening the way it does and it’s pushed my list back to February. I apologize for that. I am learning that it is very hard to make a list like this because, as far as I know, there really isn’t one out there. I’m discovering, as I make this list, that it is both very hard to narrow down which books I should put on it, and also very hard to hunt through the annals of the internet to find all the books I possibly can that can fit on this list. Case and point, I’ve literally been working on this list for nearly a week and I am honestly ashamed by how short it is. There are so many more books out there, but I don’t have all the time in the world to find them and list them properly. The process of making this list is a lot more philosophical than I first thought it would be. I’m running into a lot of questions. For example, would John Clever and his obvious antisocial behavior patterns be considered disabled? Differently abled, certainly, but would that make I Am Not A Serial Killer fit on this list? I can pretty much ask that question about any of Dan Wells books. The Scar by Maryna and Serhiy Dyachenko was talked about in the Special Needs in Strange Worlds column on my website a few years ago which you can read about here. Does that book fit in this post, or is it too vague? In The Warded Man by Peter V. Brett, the more Arlen gets marked up, the less he can function in society. Does that make those books fit on this list? You see the problems I run into? Perhaps I just overthink things. I’m hoping this can be a joint project. I’ll start the list out with what I have here, and then you, my fine readers, can leave comments with all the myriads of books I’ve missed. I will, occasionally, update this list with your books added to it. Let’s work together to make this list long, and incredible. Starts with Lord Foul’s Bane. Yet the Land tempted him. He had been sick; now he seemed better than ever before. Through no fault of his own, he had been outcast, unclean, a pariah. Now he was regarded as a reincarnation of the Land’s greatest hero–Berek Halfhand–armed with the mystic power of White Gold. That power alone could protect the Lords of the Land from the ancient evil of Despiser, Lord Foul. Only…Covenant had no idea of how the power could be used! Thus begins one of the most remarkable epic fantasies ever written. Washed out of the Barrayaran Military Academy for being overly fragile (he had been biochemically damaged during an assassination attempt while still in his mother’s womb), Miles’s natural (if unorthodox) leadership qualities quickly led to his off-handedly acquiring a fleet of nineteen ships and three thousand troops, all unswervingly loyal to him—or at least to his alter ego, Admiral Naismith. In short order, he foiled a plot against his father, returned to and graduated from the academy, solved a murder among his people, joined a mutiny against a deranged superior officer, thwarted an interstellar invasion, and rescued the Barrayaran Emperor. Then things get interesting…. Helva had been born human, but only her brain had been saved and implanted into the titanium body of an intergalactic scout ship. But first she had to choose a human partner, to soar with her through the daring adventures and exhilarating escapades in space. On the first day , there was mystery. Arthur is safe – but his world is not. Along with the key comes a plague brought by bizarre creatures from another realm. A stranger named Mister Monday, his avenging messengers with bloodstained wings, and an army of dog-faced Fetchers will stop at nothing to get the key back – even if it means destroying Arthur and everything around him. Desperate, Arthur ventures into a mysterious house – a house that only he can see. It is in this house that Arthur must unravel the secrets of the key – and discover his true fate. Beginning with a short story appearing in The Magazine of Fantasy and Science Fiction in 1978, the publication of Stephen King’s epic work of fantasy — what he considers to be a single long novel and his magnum opus — has spanned a quarter of a century. A sensational YA science fiction debut from an exciting new British author. Jarra is stuck on Earth while the rest of humanity portals around the universe. But can she prove to the norms that she’s more than just an Earth Girl? In the tradition of Robert A. Heinlein’s juvenile classics, crafted with a modern sensibility. Jamey Barlowe has been crippled since childhood, the result of being born on the Moon. He lives his life in a wheelchair, only truly free when he is in the water. But then Jameys father sends him, along with five other kids, back to the Moon to escape a political coup detat that has occurred overnight in the United States. Moreover, one of the other five refugees is more than she appears. Soon Jamey is front and center in a political and military struggle stretching from the Earth to the Moon. Enter the wizard, Bayaz. A bald old man with a terrible temper and a pathetic assistant, he could be the First of the Magi, he could be a spectacular fraud, but whatever he is, he’s about to make the lives of Logen, Jezal, and Glotka a whole lot more difficult. Nicodemus is a young, gifted wizard with a problem. Magic in his world requires the caster to create spells by writing out the text… but he has always been dyslexic, and thus has trouble casting even the simplest of spells. And his misspells could prove dangerous, even deadly, should he make a mistake in an important incantation. Yet he has always felt that he is destined to be something more than a failed wizard. 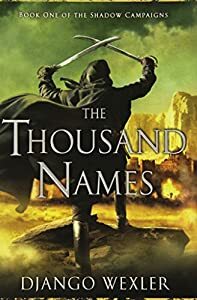 When a powerful, ancient evil begins a campaign of murder and disruption, Nicodemus starts to have disturbing dreams that lead him to believe that his misspelling could be the result of a curse. But before he can discover the truth about himself, he is attacked by an evil which has already claimed the lives of fellow wizards and has cast suspicion on his mentor. He must flee for his own life if he’s to find the true villain. But more is at stake than his abilities. For the evil that has awakened is a power so dread and vast that if unleashed it will destroy Nicodemus… and the world. Exiled exorcist Lucian Negru deserted his lover in Hell in exchange for saving his sister Catarina’s soul, but Catarina doesn’t want salvation. She wants Lucian to help her fulfill her dark covenant with the Fallen Angels by using his power to open the Hell Gates. Catarina intends to lead the Fallen’s hordes out of Hell and into the parallel dimension of Woerld, Heaven’s frontline of defense between Earth and Hell. When Lucian refuses to help his sister, she imprisons and cripples him, but Lucian learns that Rachael, the lover he betrayed and abandoned in Hell, is dying from a demonic possession. Determined to rescue Rachael from the demon he unleashed on her soul, Lucian flees his sister, but Catarina’s wrath isn’t so easy to escape! Winning will make you famous. Losing means certain death. Roger Zelazny’s Chronicles of Amber have earned their place as all-time classics of imaginative literature. Now here are all ten novels, together in one magnificent omnibus volume. Witness the titanic battle for supremacy waged on Earth, in the Courts of Chaos, and on a magical world of mystery, adventure, and romance. What a great list. I was all prepared to put Apollo’s Outcasts on here (as I sometimes feel I’m the only one who has read this book), but I see you are ahead of the game. You know, I feel like I am the only one who read that book, too. I loved it. I’m glad you read and enjoyed it, too. 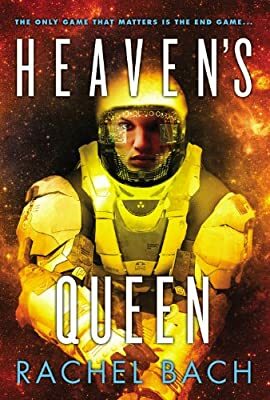 I had my wife read it as soon as I finished (right after it came out), bought a copy for a friend who also loved it and had a few friends who are fans of Heinlein juveniles I convinced to read it who also connected with it. But it seemed to come out and disappear with little fanfare, which I found very disappointing. It is such a good book. I am curious, coming from your perspective of stories featuring people with disabilities, if you would think this is a good representative story given that Jamey soon finds himself in a place where his disability does not handicap him in the way it did on Earth. Is it a wish fulfillment story for someone with a disability vs. one in which the person learns to live with said disability? I’m not asking in any way as a criticism, because again I love this story, but those thoughts crossed my mind prior to seeing your list when Apollo’s Outcast sprang to mind. This is an excellent start, Sarah. Didn’t expect you to put Amber on here but it fits–Corwin has memory problems to begin with, and works through it. Benedict, greatest General of all time, has one arm, and is still awesome. Jurt is one-eyed in the second series. Not sure if these will count, because there is a lot of grey areas! Of Blood and Honey and And Blue Skies From Pain by Stina Leicht, the main character is dyslexic, which makes it very difficult for him to read the letters his girlfriend (maybe wife? I don’t remember) sends him. Blindsight by Peter Watts – Narrator has severe epilepsy, has had chunks of his brain removed to help with the seizures, but it alters his personality. Why did that Robert Sawyer title turn into a link!? the name of the book is WWW dot Wake. Points to the Sawyer book for also having a character with autism, which I thought was awesome, but points taken away for the strong implication that the MC “dodged” autism thanks to her blindness not making eye contact an issue for her. Silent Dances, A.C. Crispin and Kathleen O’Malley: The main character is Deaf. (Convenient to the plot, since the resident aliens have a cry that can shatter human ears.) It includes issues about communication between cultures and about Deaf culture. I would also add the Middle Grade fantasy THE REAL BOY, by Anne Ursu. The main character is on the autism spectrum – and how it deals with difference and empathy and loneliness is deftly done. I just finished an awesome book Digital Divide (Rachel Peng) by K B Spangler. The book features a blind detective Rachel Ping (with the help of a microchip she can access the visual world) and currently the author is doing a Kickstarter to make audio files of this book and it’s sequel. If enough money is gathered braille copies will be unlocked. Spangler is a self published author. Abercrombie’s The First Law trilogy is worth the price of admission for the way he plays with and twists the fantasy genre into a pretzel. Of all the characters he created for this work, Sand dan Glokta stands out. An absolutely phenomenal character. Hi, I just turned your list into a list on Goodreads, I really hope you don’t mind and I have of course given all credit to you. But I thought it was a list that was worth sharing and since there are a lot of readers on GoodReads I thought it would be a sneaky place to share it + I wanted to add some of the books to my own reading list. Anyone can add to the list, so perhaps we will get even more ideas.